These popular cosmetic brands have one common purpose: to smooth away facial wrinkles. But what are they made of, and how do they work? Read on to learn about each brand to see which one may be more appropriate for you. BOTOX® Cosmetic is made by Allergan and is derived from ultra-purified Clostridium botulinum toxin protein (onabotulinumtoxinA)…the same toxin that causes botulism (food poisoning). When injected into a muscle, this toxin affects the treated area in a similar way (paralysis) but with safer results. Serious side effects can occur in some individuals, so ask your medical provider about this before getting treatment. When used for cosmetic and medical purposes, this potent solution paralyzes muscles temporarily, which can help reduce wrinkles, treat overactive bladder, stop hyperactive sweat glands (hyperhidrosis), and ease migraine pain. Allergan states that their product is the top seller of its kind on the market today, and is the only FDA approved solution for both frown lines (“elevens”) and crow’s feet. By paralyzing the underlying facial muscles in these areas, the skin no longer wrinkles when facial expressions are made. This can address existing wrinkles and even prevent new ones from forming if regular injections are administered every 3 months. Xeomin® (pronounced zee-oh-min) is made by Merz Aesthetics from the same bacterial toxin as BOTOX, but is slightly different, molecularly speaking. This product uses a purified toxin protein called incobotulinumtoxinA. Their website proudly shows supermodel Christie Brinkley as one of their loyal product users. At age 63, she looks decades younger! Xeomin is FDA approved for use between the eyes (“elevens”) to relax the glabellar muscles and treat/prevent wrinkles in this area. Possible side effects are very similar to those that can happen with BOTOX, so tell your medical provider of any and all medications you take, medical conditions you have, and allergies. age time it lasts is about 3 months. Another benefit of this toxin protein molecule is that the body is less likely to build up a resistance to it (as can happen with onabotulinumtoxinA). 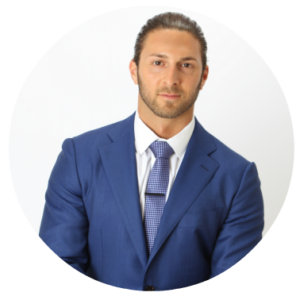 James Christian Sardelli, RPA-C is a highly skilled injector with over a decade of experience injecting muscle relaxers and dermal fillers. His cosmetic technique and stunning results have hundreds of clients seeking his services every month. Get in touch with James Christian Cosmetics 24/7 through our Cosmetic Concierge number (917) 860-3113 or toll free at 1-844-iBOTOX-Now. *BOTOX is a registered trademark of Allergan, Inc., and Xeomin is a registered trademark of Merz Aesthetics.